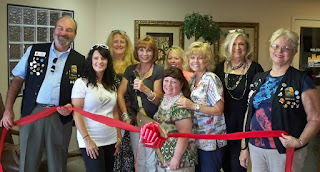 Lake Havasu Area Chamber Ambassadors held a ribbon cutting for Jonnie Sheehan, Independent representative for Silpada Jewelry. Silpada jewelry is handcrafted from the finest .925 Sterling Silver and is backed by a lifetime guarantee. Great style, no worries, the catalog has over 500 items with over half of them under $60.00. Home shows available upon request, now booking November parties. Hostesses receive 30% of total sales in free jewelry plus half priced items. 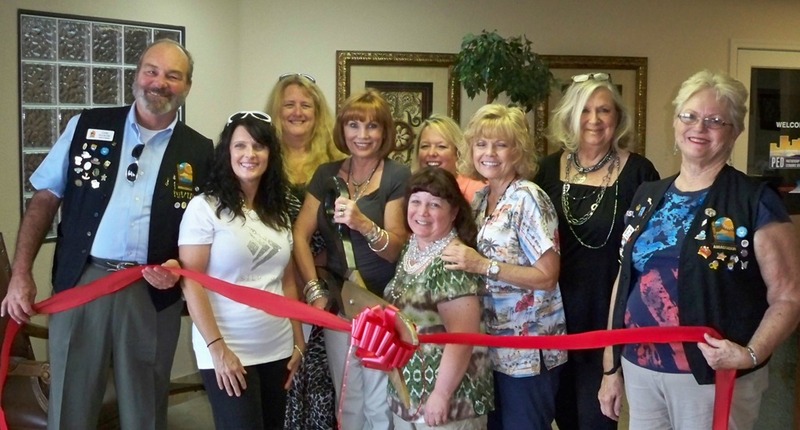 On hand for the ribbon cutting from left to right: Carl Flusche’, Angie Chester, Tracy Satterwhite, Jonnie Sheehan, Terri Micca, Renee Villelli, Vernette Pederson, Wanda Russell and Marga Nill.